The following links include guides, stories, and other resources related to fostering high expectations for employment amount all Iowans. 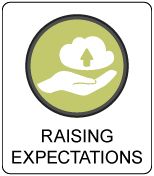 TennesseWorks Raising Expectations: This webpage explains the impact high expectations can have on employment outcomes. It gives practical tips for how families can foster and communicate high expectations and lists additional resources for families to explore. On The Job Success Stories - See videos featuring individuals (with disabilities) at work, and their families and employers sharing their perspectives. Impact: Supporting New Career Paths for People with Intellectual and Developmental Disabilities: This newsletter contains articles written from multiple perspectives on how to raise expectations for people with disabilities. It includes resources and tips for parents. Employment 1st Guide for Parents: This guide includes brief descriptions of some of the different types of employment supports, services, and funding available for people with disabilities. It also includes frequently asked questions and corrected common myths around employment. Customized Employment: This short sheet describes what customized employment entails, possible outcomes, and how it benefits the employer and the employee. 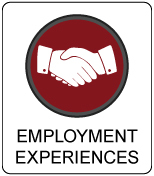 Customized Employment - ODEP: This website describes the benefits of customized employment for individuals with disabilities and their employers. It includes videos that show what customized employment looks like. It also lists other resources that describe what customized employment is and who may benefit. Self-Directed & Family Directed Discovery: Patty Cassidy with Griffin-Hammis Associates shares with parents and families about Self-Directed Discovery. Patty provides a brief overview of Customized Employment and explains the importance of Discovery in Customized Employment. She introduces Self-Directed or Family Directed Discovery, and offers tools and strategies for Family Directed Discovery. Materials: Griffin-Hammis Associates - Discovery Staging Record: The DSR is a form used to stage, structure, capture, and record the major events of Discovery. Self-Employment - ODEP: This website lists several resources developed for individuals with disabilities who are interested in starting their own business. It outlines the benefits of entrepreneurship and supports available for interested youth. Thinking Outside the Employment Box: Iowa Entrepreneurs with Disabilities Share Their Self-Employment Success Stories. T-TAP Q & A on Customized Employment: Addressing Parental Concerns: This is a fantastic resource that addresses many of practical and challenging questions asked by families around their son/daughter working in the community including readiness, skill development & matching, safety, financial implications, transportation, and impact to social relationships. Benefits Planning & Employment: More Money, Fewer Problems: This slide presentation from February 2017 contains a clear and straightforward overview of the Social Security Benefit Programs (SSI & SSDI), their differences, and the impact of earned income on cash and medical benefits. Listen to this presentation on YouTube. Benefits Planning Referrals: Iowa Work Incentives Planning & Assistance (WIPA) program overview, including eligibility and referral information for accessing Community Work Incentives Coordinators (CWIICS). 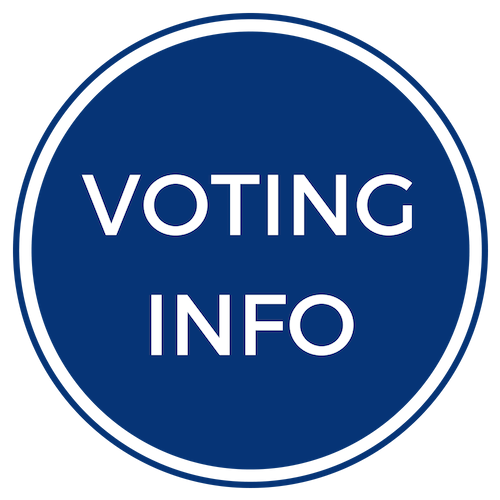 DEI Statewide Team Contact List: Iowa Workforce Development & Disability Resource Coordinators (DRCs) contact information, DRCs are certified benefits planners and/or can connect individuals to a certified benefits planner. Charting the Life Course: A Guide for Daily Life and Employment-Transition: Developed by Missouri Family to Family, at the University of Missouri Kansas City, UCEDD, this dynamic, fun, and comprehensive guide is designed to help individuals and their families think about what questions to ask, things to do, and resources to access that will lead to a job, career, volunteering, college or continuing education, and ultimately, the life they want. 4 Essential Elements to Successful Employment Preparation: From the work of the Iowa Coalition for Integration & Employment, four essential elements were identified related to experiences of youth with disabilities who successfully transitioned from secondary school to integrated, competitive employment. 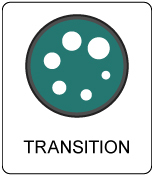 The four essential elements represent the services, supports, and procedures needed for effective employment preparation programs for transition age youth. Community Resources and Partners: Who is Able to Help? What happens when the school bus stops coming? Understanding the difference between special education services and the adult service world, or moving from entitlement services to eligibility based services and supports in the adult world. Opening Doors to Employment: This handbook includes brief descriptions of different types of employment available for people with disabilities. It includes ideas regarding who may be able to help them gain these various types of employment (See page 8), questions to ask supported employment provider(s) (See page 12), and tabled comparison of differences between high school and employment in the adult service world (See page 13). Apprenticeship - ODEPThis website includes several papers and PDFs that define apprenticeship and give examples of apprenticeship programs. It also explains how individuals with disabilities can enter the workforce through an apprenticeship experience. It includes ways families can prepare youth for a successful apprenticeship. ASK Resource Center & Transition Iowa: (Access for Special Kids) Resource Center serves as the state of Iowa’s parent training and information center for families of children with disabilities. 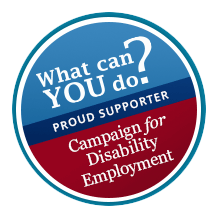 They are a family-focused, nonprofit organization whose mission is to empower individuals with disabilities and their family members by providing innovative and collaborative advocacy, training, resources, and support. Additionally, ASK has partnered with the Department of Education in the TRANSITION IOWA website for youth with disABILITIES, families and professionals serving them. It includes resources that support high expectations and successful outcomes for ALL students. 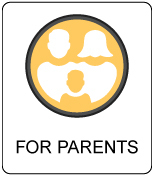 Family & Educator Partnership (FEP): The Family and Educator Partnership works to develop and sustain effective partnerships between families, educators, and community providers to promote success for all children and youth with disabilities. The FEP can provide a variety of supports, resources, and assistance, as well as connect families and educators with similar needs, and conduct and provide training and materials on special education, parenting, and disabilities. Rise to Work: An Insider’s Look at Disabilities and Employment - Blog Post: Follow Tennessee parent, Janet Shouse, who has a young adult with autism, as she brings you interesting and important information on employment-related topics for family members of individuals with disabilities. Janet is passionate about inclusion and employment amongst other disability-related topics, and is the disability employment specialist for TennesseeWorks at Vanderbilt Kennedy Center.